Home Brands CADBURY DAIRY MILK CHOCOLATE-LOVING MARTIANS HAVE INVADED EARTH! CADBURY DAIRY MILK CHOCOLATE-LOVING MARTIANS HAVE INVADED EARTH! Earlier this year, Cadbury Dairy Milk launched their interstellar TV Commercial, showcasing a lovable group of Martians who discover a stash of chocolate, which gets them dancing with irrepressible Joy! They loved the Cadbury Dairy Milk chocolate so much that they have now landed on earth in search for more! Since the launch of the Cadbury Dairy Milk TV commercial, the popularity of the Martians has skyrocketed and it seems South African’s just can’t get enough of them. However, the question remains, what do they have planned during their stay here on earth? Sources have confirmed that Cadbury Dairy Milk and the Martians have devised a plan to help spread Joy this Winter, and will be popping up across South Africa, finding their way into the hearts and homes of consumers! It has been revealed that Cadbury Dairy Milk has created five loveable, collectible Martian figurines Minchu, Mintu, Swaggy, Hazy and Duos, each with their own unique character and personality. So, how do you get your hands on one, or all of these figurines? To redeem a free Martian, from the 1st June – 31st August 2017, consumers will need to purchase any FOUR participating Cadbury Dairy Milk (80g & 150g) and Cadbury Dream 80g slabs from ANY retail store, which will then allow them to redeem their free Martian figurine from any Engen Quickshop, nationwide. Consumers simply need to find the UNIQUE CODE inside the wrapper of the promotional product, input their four UNIQUE CODES on www.cadbury.co.za/martians to receive a REDEMPTION CODE which they can then use to claim their free Martian figurine. As the love for the Martians spreads, consumers can continue participating until all five figurines are collected. Ts & Cs apply. While stocks last. In addition to collecting their own Martians figurines, fans will also have the chance to meet the Martians during June and July at mall activations around the country! To find out where these lovable Martians will be, visit the Cadbury Dairy Milk South Africa Facebook and Twitter pages. 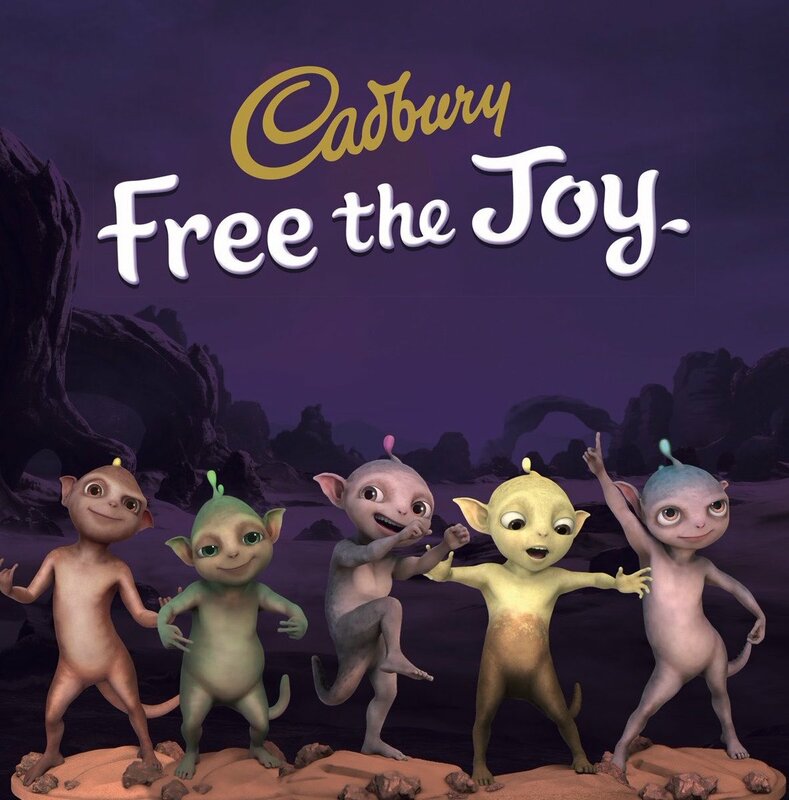 “Cadbury Dairy Milk is encouraging fans to welcome the Martians warmly to our country and into your homes as they spread their interstellar Joy,” says Grant van Niekerk, Mondelez SA Category Lead for Chocolate. Which Martian is your favourite? Let us know on social media via the CadburyDairyMilkSA Facebook page or on Twitter @Cadbury_SA.